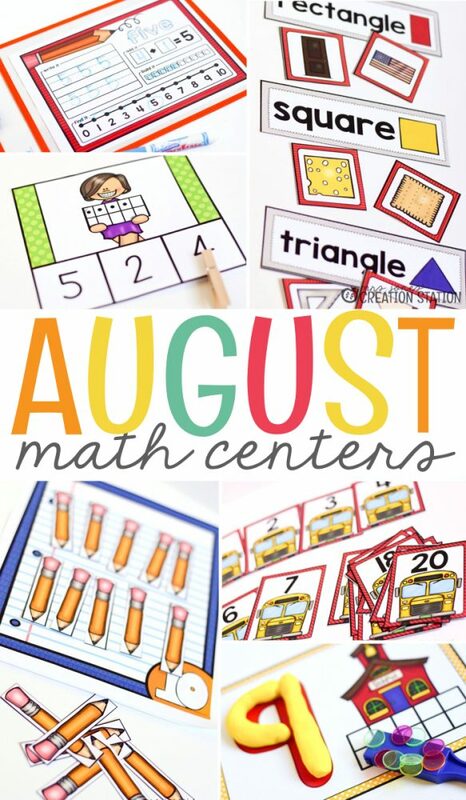 At the beginning of the school year, I want my learners to get started right away with math centers. This is how we structure our math block the entire year, so setting up a routine is key for a year of successful math instruction. The first week of school my learners will find manipulatives in their math center tubs to explore. Pattern blocks , attribute blocks , sorting bears , foam dice , and colored construction paper for sorting are usually what they find. The second week of school is when they get to explore more structured math centers. These mats are usually a math warm-up activity the first week of school, so my learners are able to complete them independently in a center. 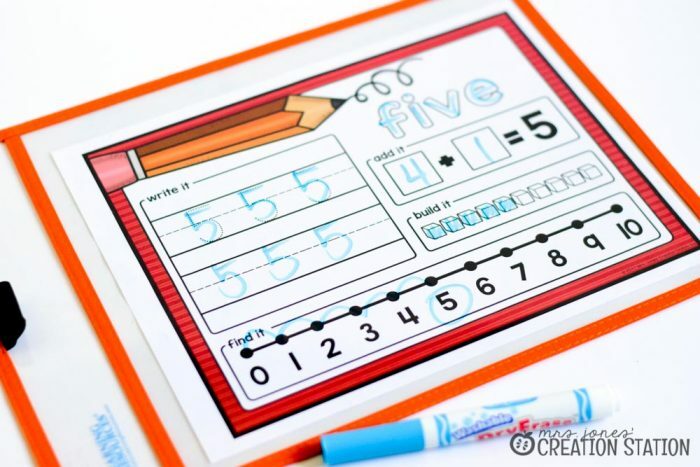 Laminate or use a clear pocket and have learners write, trace, make, build and find each number on the mat. 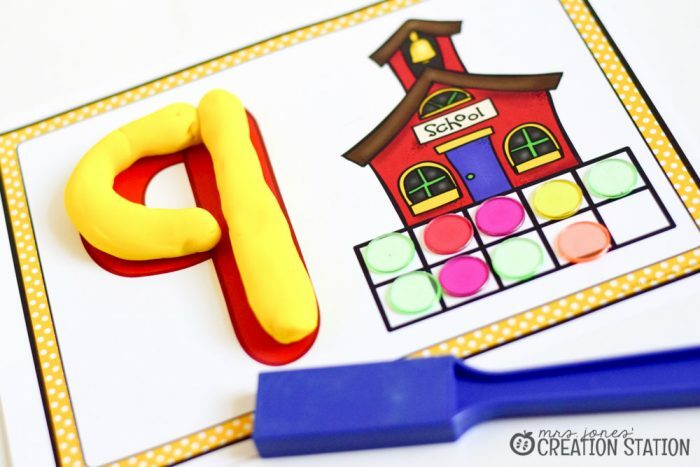 This activity is always a favorite…playdough and magnetic counters…you just can’t go wrong. 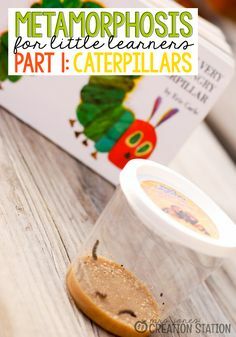 Laminate these mats and provide your learners with playdough. 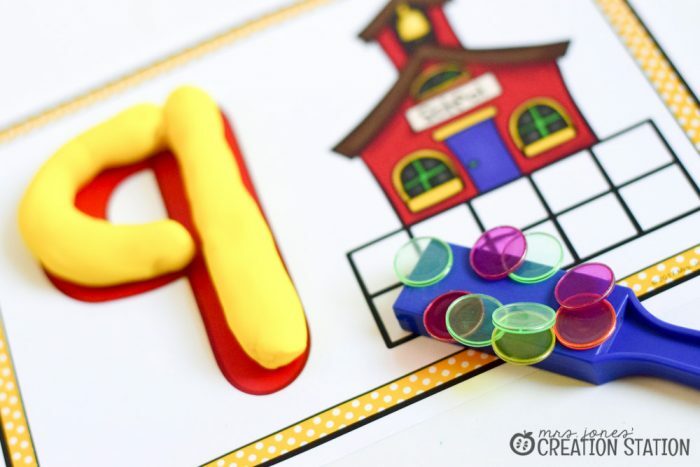 Have them form the numeral on their mat with the dough (we do this the first week to learn how we use playdough in the classroom). 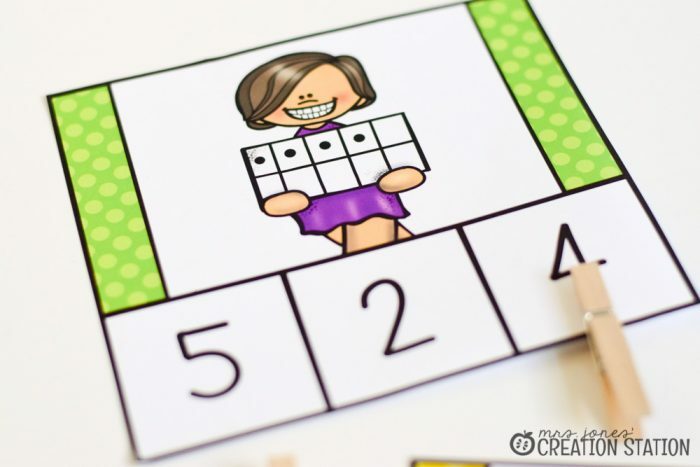 Then, have learners count off the number on the ten frame with the magnetic counters . 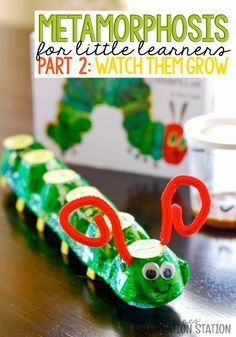 When they finish they can swoop them up with the magnetic wand …so much fun! 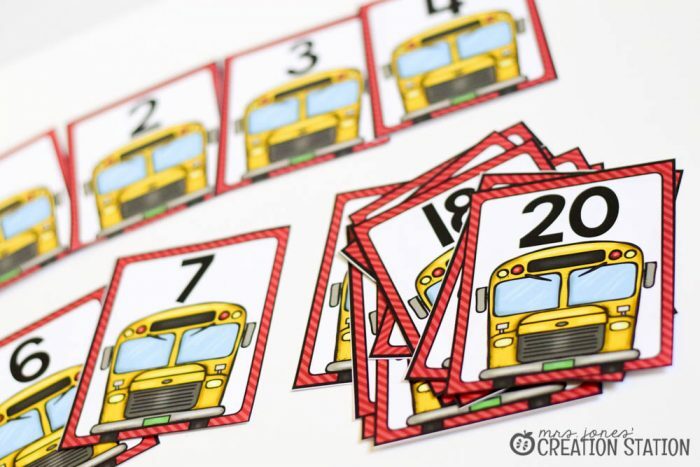 Clip cards are such a great way to practice skills throughout the year. We usually have a clip card center out every week. 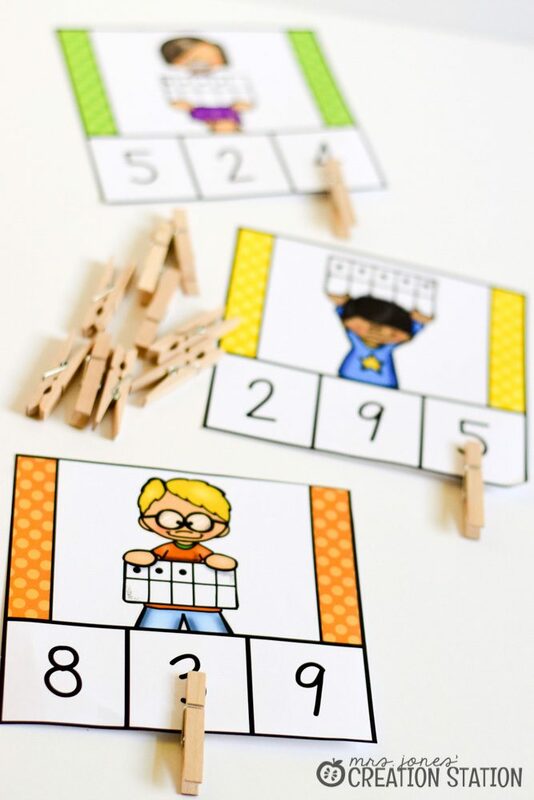 For the start of the year, my learners match ten frames to the correct number. They can find the cards and clothespins in their math tub. 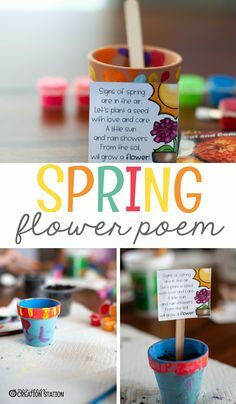 Have your learners place the clip on the correct number and complete the printable included for a quick check of what they know. 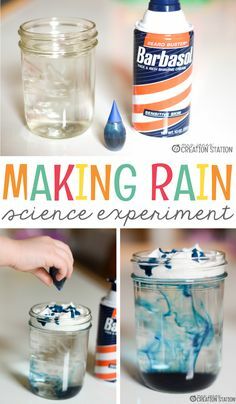 Counting is a skill that continually needs to be practiced. 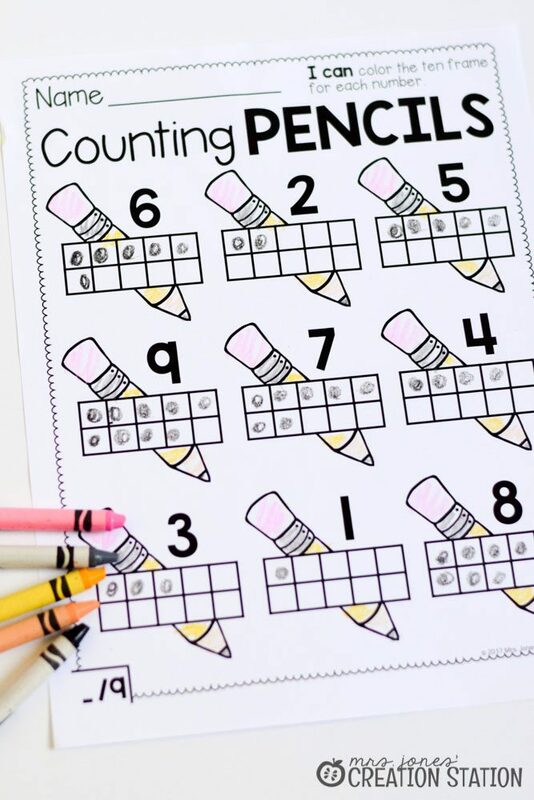 My learners count pencils during the first week of school to practice counting, one-to-one correspondence and numeral identification. 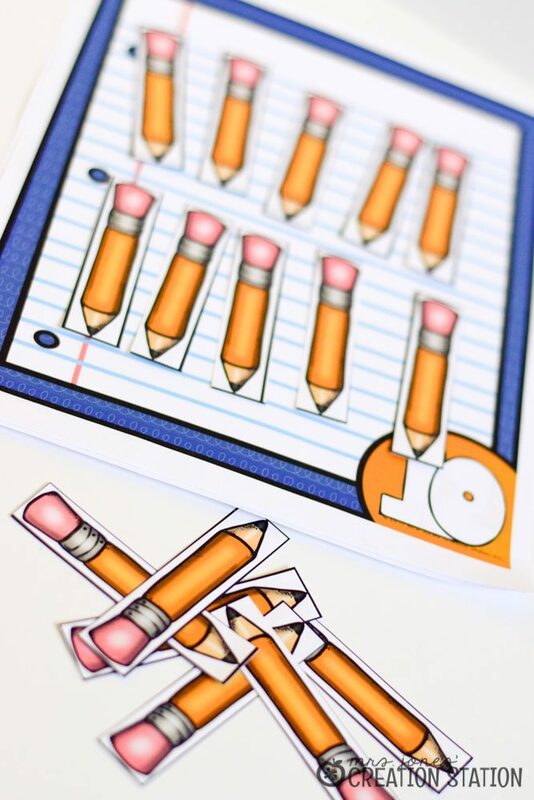 Have learners say the number aloud and place the correct number of pencils on the mat. 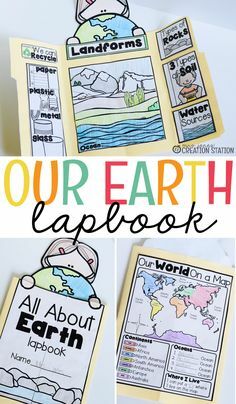 Learners may then complete the printable included. 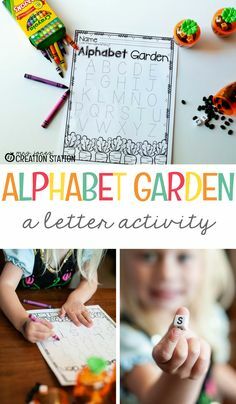 Counting, number recognition and ordering numbers all in one center? Yes, please! 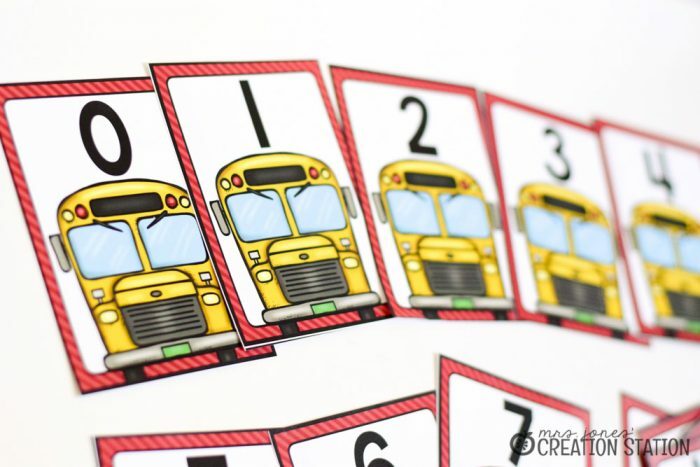 Have learners place these buses in the correct order on the carpet or in a pocket chart. 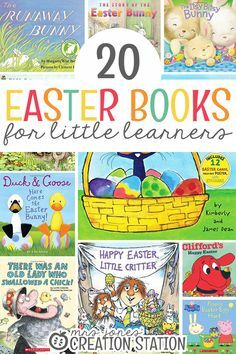 Learners can trace their numbers to 20 when they are finished. Sorting shapes is a great skill to practice at the beginning of the school year. 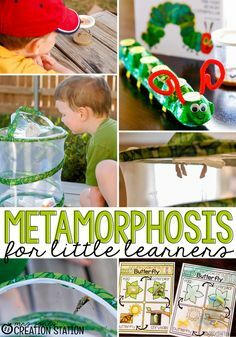 Learners are able to look at the attributes of the different objects, classify them and learn the names of the shapes they will use in school. 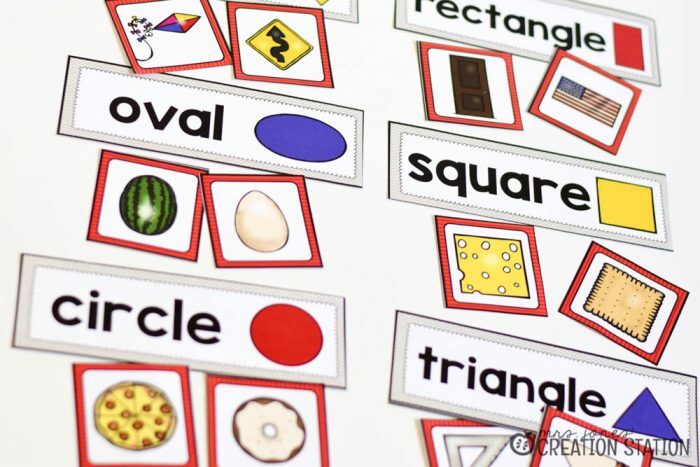 Learners can complete this activity on a table by stacking the shapes or on a pocket chart where they can easily see what they sorted. 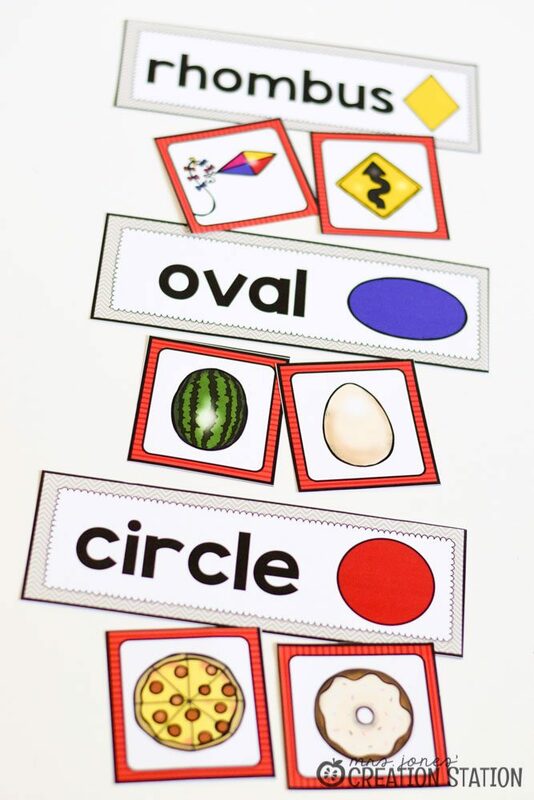 Complete the printable by having learners draw the shapes they sorted. 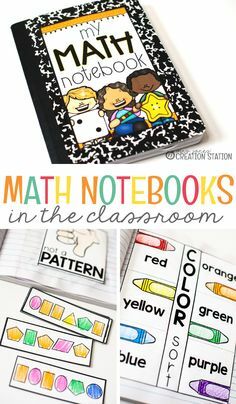 You can find these math centers and literacy centers to use at the beginning of the school year with your learners. 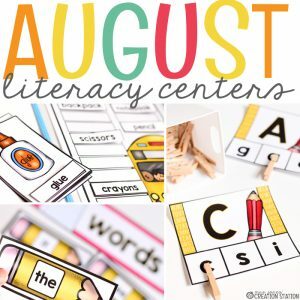 Check out the bundle of monthly centers to use in your small group or stations with your learners.